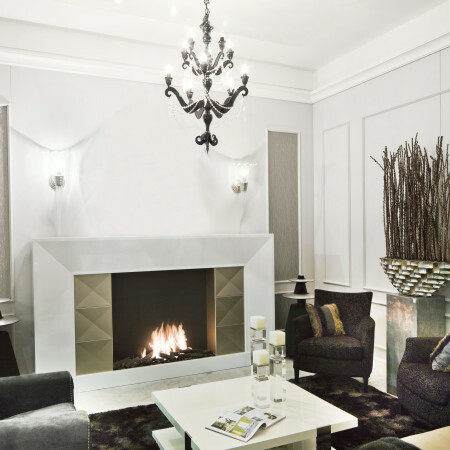 A contemporary take on a traditional mantlepiece fireplace, with a modern hole in the wall gas fire incorporated. It is ideal for both modern and more traditional interiors. 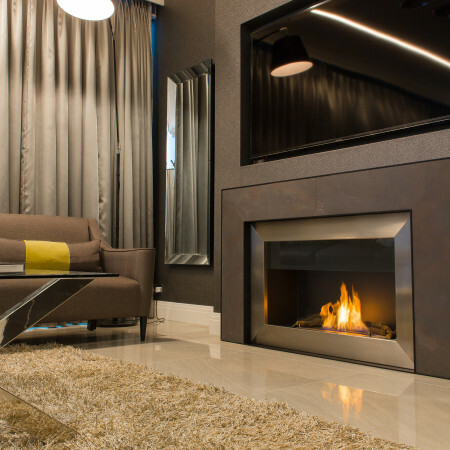 This is an open fire and it has the addition of top and bottom steel panels to increase the visual impact of the fire and the flames. This contemporary hole in the wall fireplace can be designed as a modern gas fire, or equally as a traditional wood fire. The mantel frame is manufactured from painted steel and there are a number of finishes available to make a truly individual designer hole in the wall fireplace to fit into your home. Speak to a Design Consultant to see how this hole in the wall fireplace could be integrated into your interior.